Ugh, terrible, I know. (Oh, and keep in mind that I was really feeling under the weather, so my head was sort of fuzzy this whole time. ) I went to bed with these ugly nails and hated them even more when I woke up this morning. Before heading off to church, I took the polish off and painted my nails black with the intention of adding some flowers after we got back from church. That’s right, I went to church with plain-black-gothic-death-looking nails. I’m happy with these! I’m sad to take them off. I’ll see you tomorrow with some delicate print nails. This entry was posted in 31 Day Challenge 2014, Nails of the Day and tagged 31 day challenge, 31dc2014, nail art, nails, opi. Bookmark the permalink. 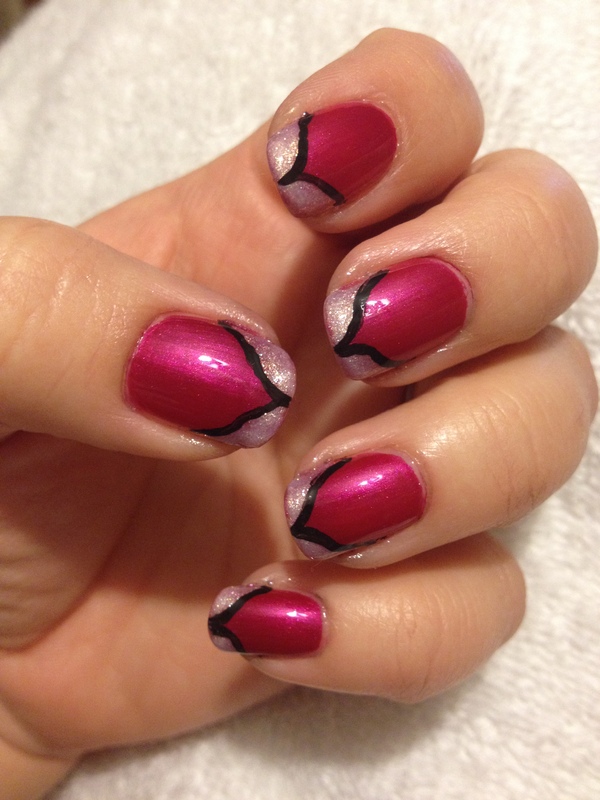 Doesn’t this look like a “fancy” French mani? 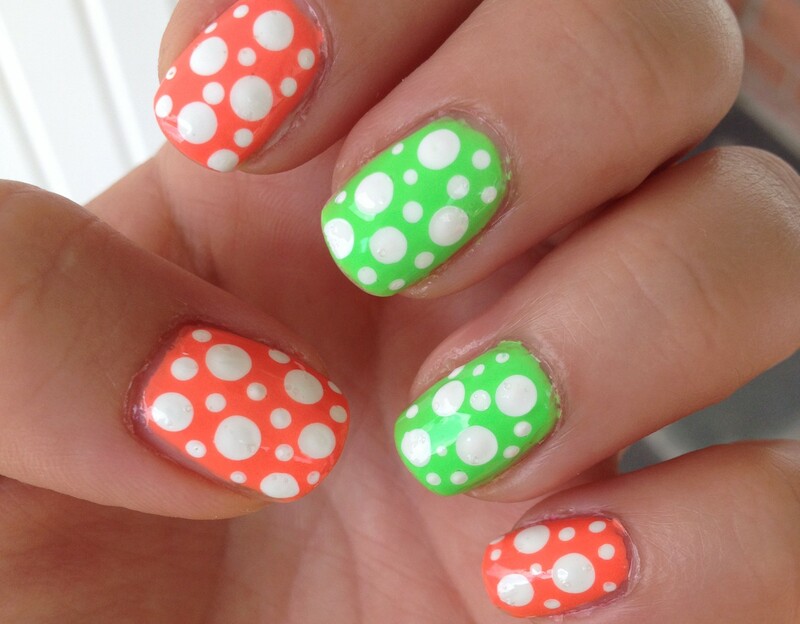 I thought you were using the vinyl shaped-nailtip stickers used to make an even line of white, etc. and thought what a nice idea!